Sometimes you may not be prepared. 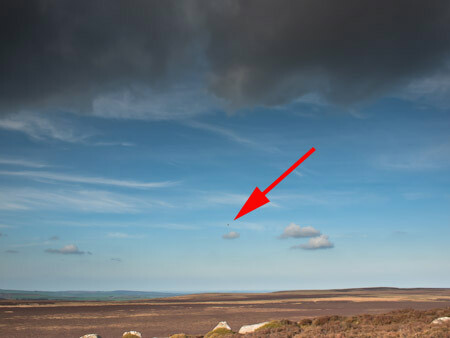 I’d gone on Stanage Edge today and took the Olympus EP2 with 17mm lens (about 35mm in 35mm format) I intended to do a few landscapes. I spotted a hot air balloon and wished I’d taken a long lens. Here’s my shot. The balloon is a dot in the sky so I’ve added an arrow. It would have still been a small dot even with a long lens. I’d love to have been in that balloon. The title of the photo365 photo is courtesy of the indie band Artery.